It's booming in CC Event #58 this week. Join the fun and don't miss the chance to win these rockin' Speaker tees and flags.. Compete now through Fri, 10/20 for your chance to win in-game rewards, including these virtual tee markers and flags. CC Event #58 runs 10/19-10/20 with multiple 4-hour Clashes, so be sure to play as many games as you can for your club and keep your eyes on the leaderboard. 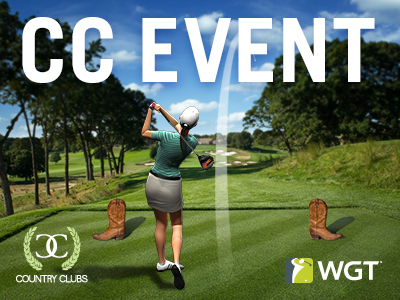 These boots were made for golfing, and that's just what we'll do... Don't miss out on the chance to win these awesome Cowboy Boot tees and flags in CC Event #57. Compete now through Sun, 10/8 for your chance to win in-game rewards, including these virtual tee markers and flags. CC Event #57 runs 10/7-10/8 with multiple 4-hour Clashes, so be sure to play as many games as you can for your club and keep your eyes on the leaderboard.